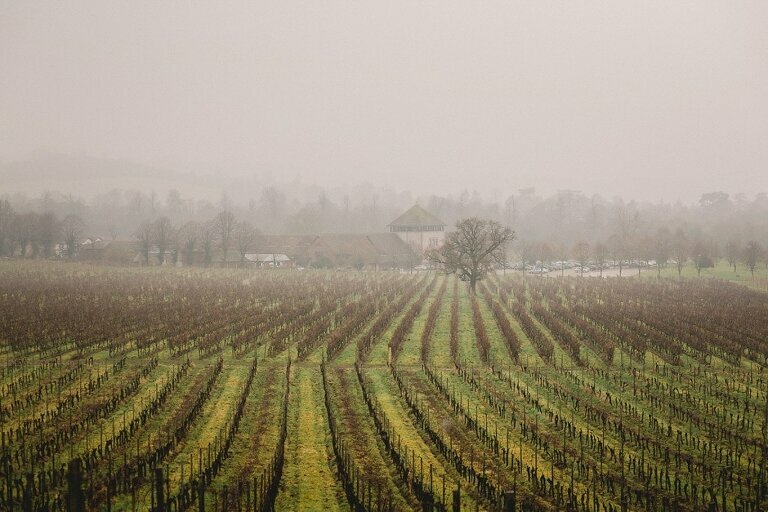 Set in 265 acres of woodland in the heart of the Surrey Hills, Denbies is the biggest vineyard in England. This unique venue features stunning views and provided the perfect backdrop for Kie & Paul’s Winter wedding in February. The day started in the beautiful Farmhouse where Kie and her bridemaids and family were getting ready. It was a wet and muddy morning out in the vineyards but I couldn’t resist hiking up the hill in the morning to capture some wonderful views of the surrounding countryside. The couple exchanged their vows in the Garden Room and with emotions running high it was clear to see that the couple were made for each other! From there everyone headed outside to the courtyard to congratulate the newlyweds and after a quick group shot it was time for the reception in the atmospheric cellar in the basement. With night time quickly drawing near we decided to go outside for a couple shoot in the expansive vineyard. Kie and Paul were instantly very natural in front of the camera and coupled with the stunning overcast backdrops this made for some wonderful photographs. 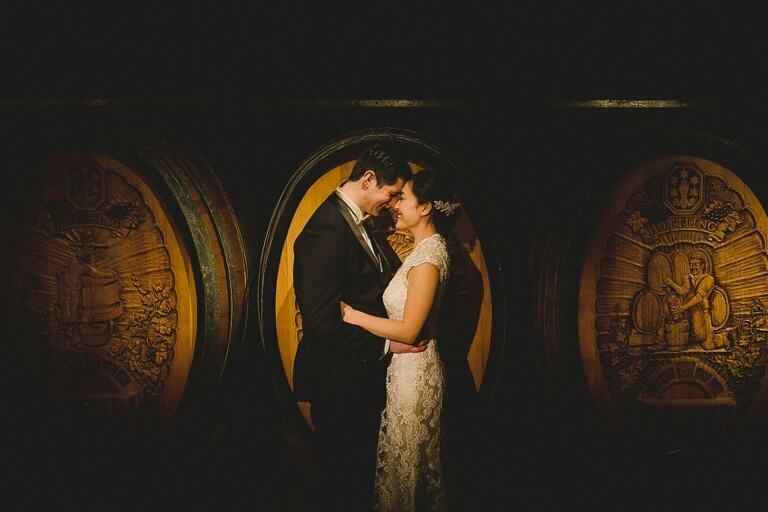 After a few drinks and mingling the guests were ushered upstairs to be seated for the meal leaving a 5 minute window for me to capture some shots of Kie and Paul in the ambience of the candlelit vaulted cellar. To see more about weddings at Denbies Vineyard please click here.